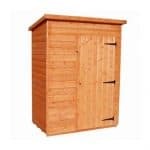 The ideal accompaniment to your garden and easy on the pocket without compromising on quality, this good looking storage shed is made of strong wood which will last for many years. 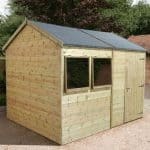 The tongue & groove cladding allows for extra strength and durability, able to withstand all weathers too such is its rigid structure. 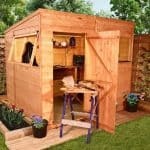 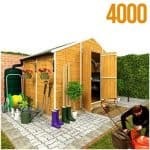 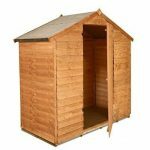 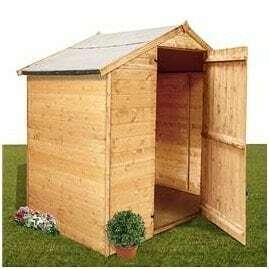 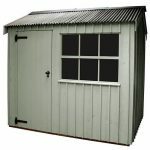 A neat looking shed, ideal for garden equipment and children’s toys it will be a welcome addition to your outdoor space and works well as a secondary building too.